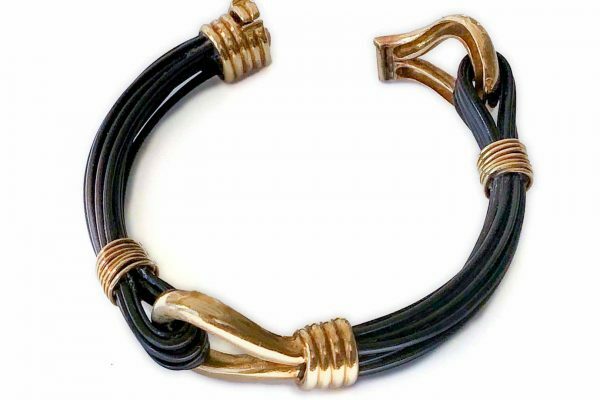 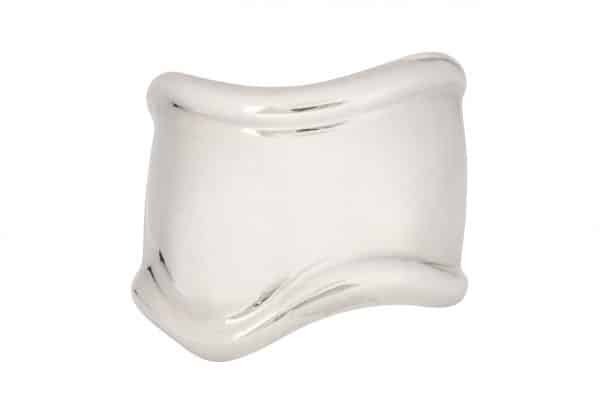 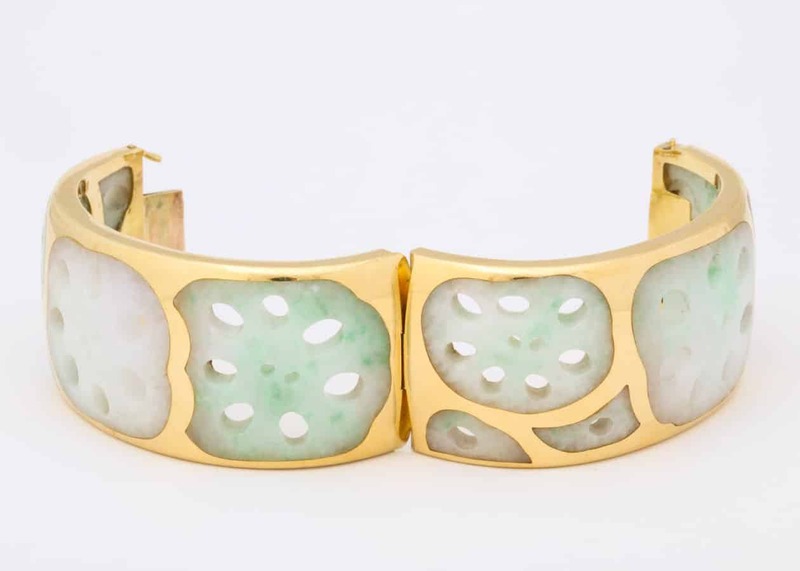 Angela Cummings “Lotus Root” cuff. 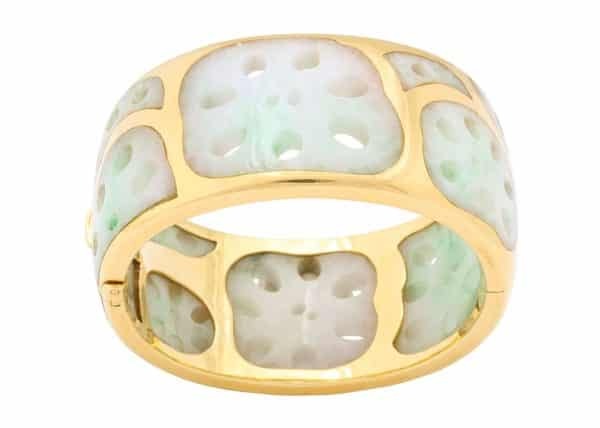 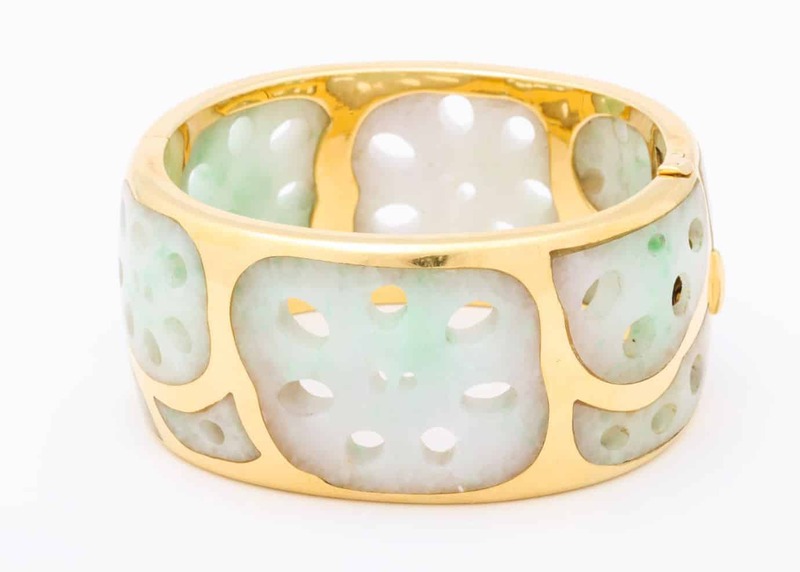 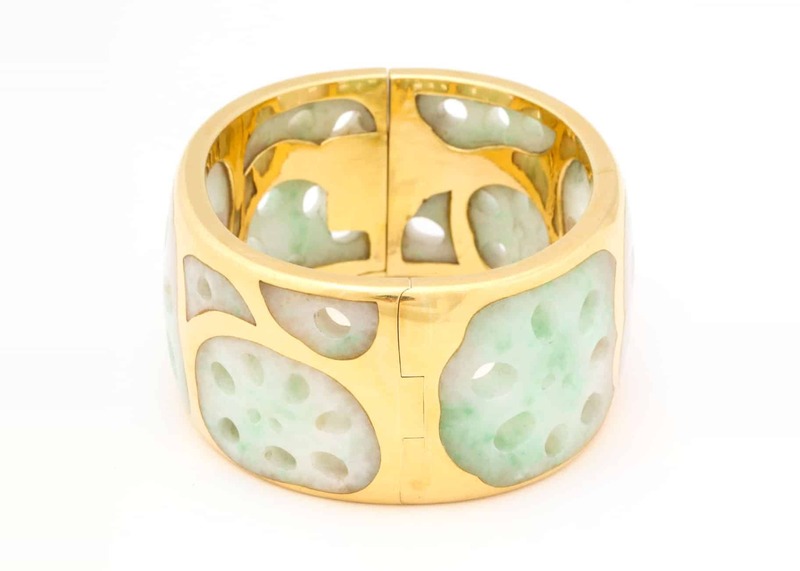 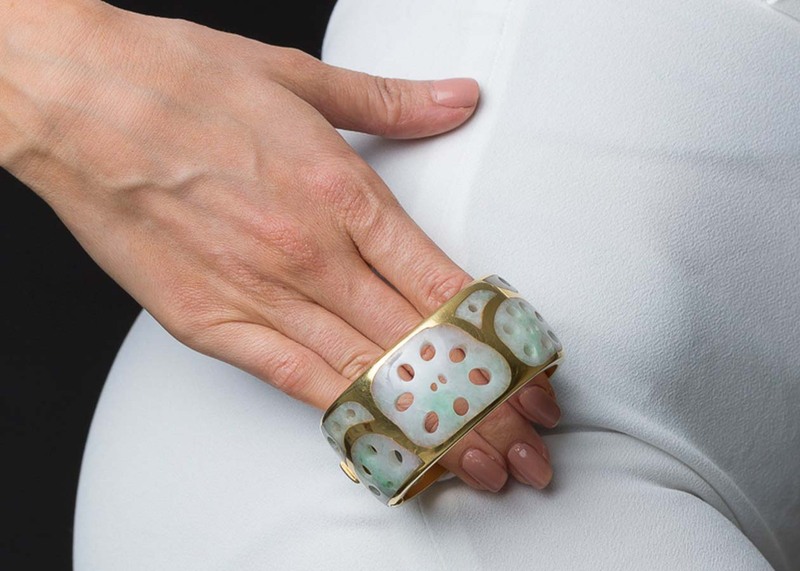 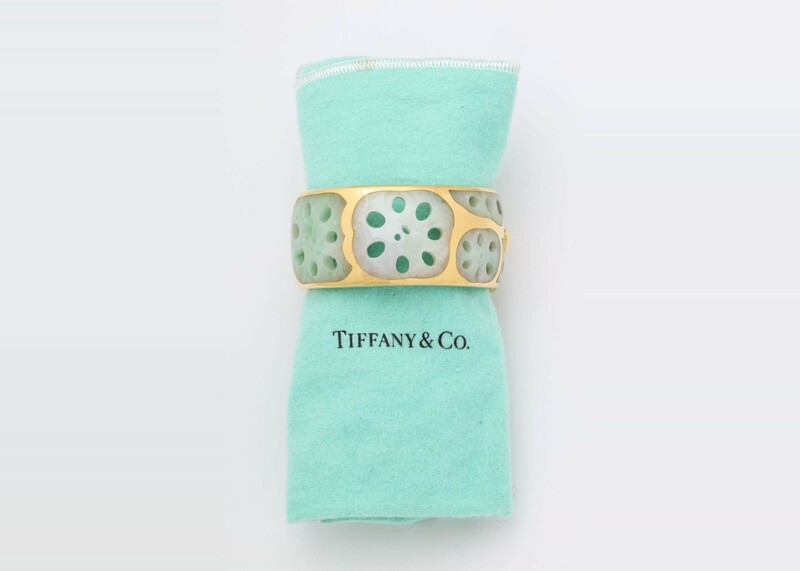 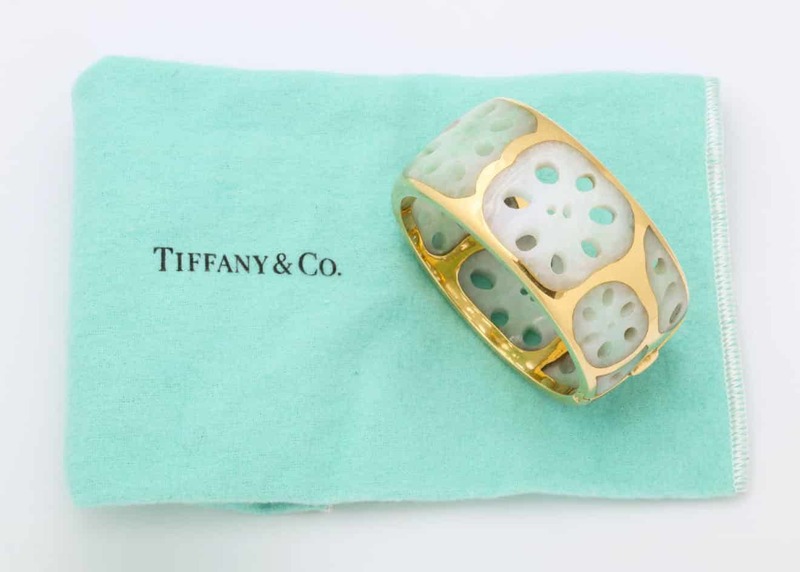 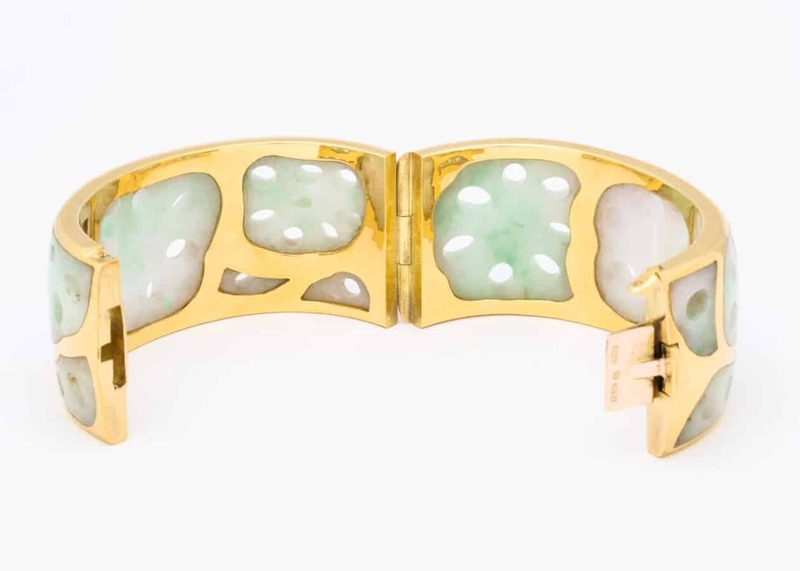 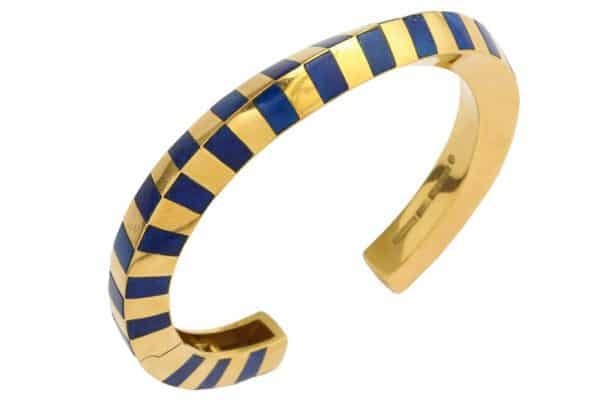 Tiffany marketed this beautifully carved jadeite cuff in the eighties. 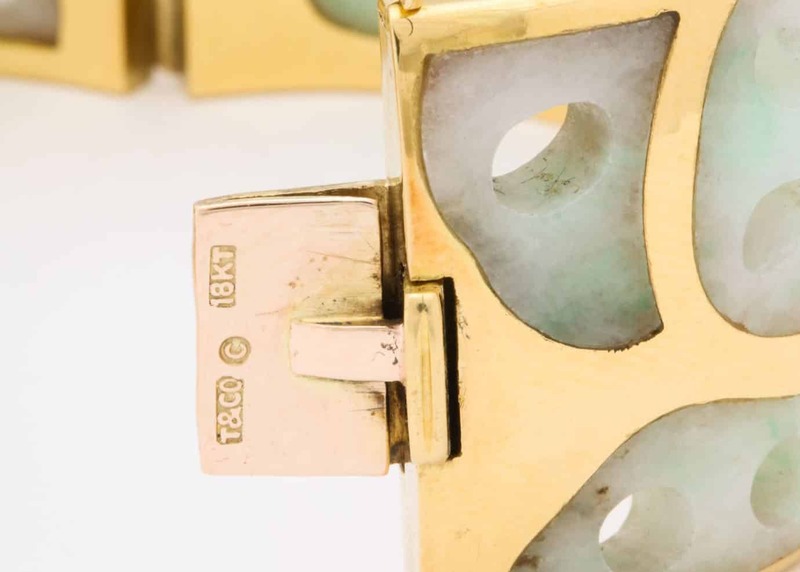 Signed T and Co. Sculpture.